Venerable Professor Geshe Phelgye, former Member of Tibetan Parliament in Exile was Born in 1956. He had his elementary schooling at CST Changlang and Graduated from S.F.F. Higher Secondary School, Dehradun in 1973. He then joined Serajey Monastic University at the age of 17 and received the novice ordination from the senior tutor to H.H. the Dalai lama ( Kyabje Ling Rinpoche) in 1974. In 1977, He received the Bichu ordination from H.H. the Dalai Lama. In 1979, he was appointed the head teacher of the monastic school, where he brought the school into a new era. 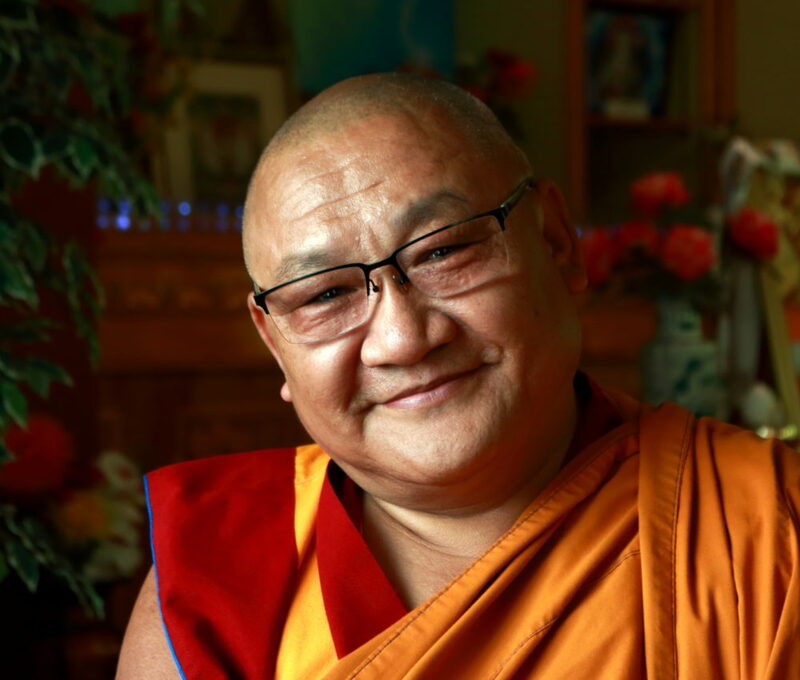 With yet another request from the abbot concerning monks suffering from tuberculosis, he was trained as a health worker and ran a Monastic Clinic from 1981 to 1986 and saved many lives. 1984, He began to campaign for vegetarianism, when he saw the cruelty of a slaughter house and in 1989 he convinced the abbot to stop the meat-food in the temple premises of Serajey as his first success in his mission. In 1986, H.H. 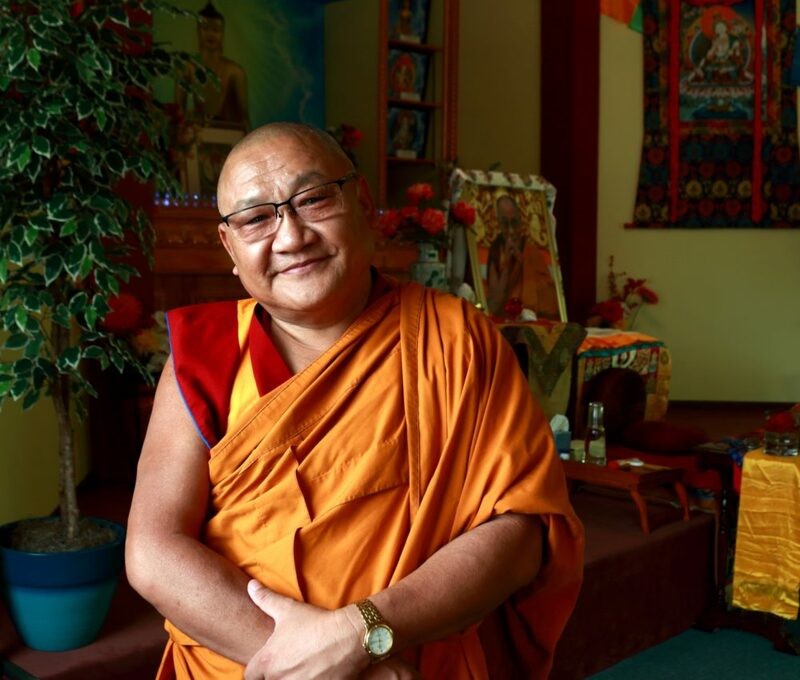 the Dalai Lama appointed him as guardian-tutor to Canadian Tulku Tenzin Sherab (Elijah Ary) who studied and lived with him 6 years and became one of the best student in the class. In 1991 He obtained the Geshe degree from Sera-Jey Monastic University. In 1992, he did the one year traditional Buddhist Tantric Course at Gyumeh Tantric College. In 1993, with blessings from H.H. The Dalai Lama, he went to the hermitage retreat on the mountains of Dharamsala for 5 years till December 1997. 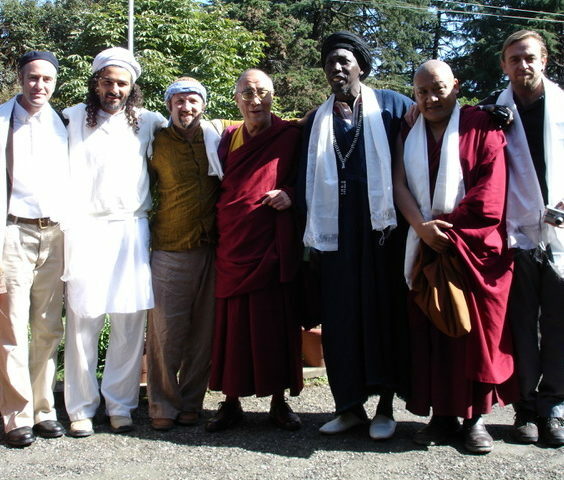 In 1998, he founded the Universal Compassion Movement after receiving support and blessings from H.H. 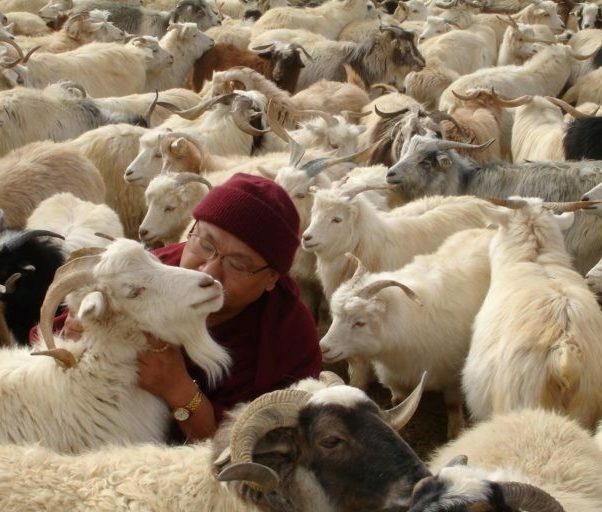 the Dalai Lama and openly campaigned for vegetarianism and Universal Compassion around the world. In 1999, he was elected as the first President of International Gelug Society (IGS), which he started in Dharamsala, published a Journal called “Kadam News” and sponsored Resolutions on promoting vegetarian diet in Gelugpa Monasteries and Nunneries among other important resolutions. 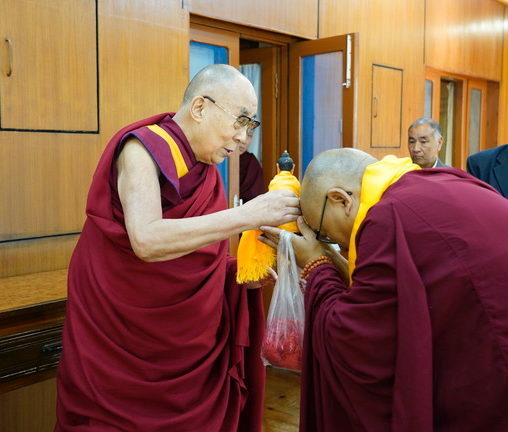 In 2000, at the National Religious Conference in Dharamsala, he brought up a proposal to ban meat diet in all the monasteries and nunneries of all sects of Tibetan Buddhism and a resolution was passed successfully. 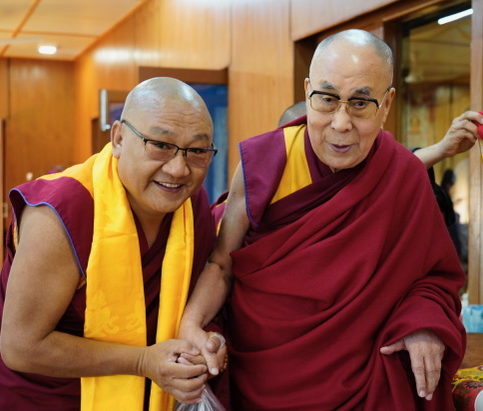 In 2001, he was elected to the Tibetan Parliament in Exile without his knowledge, which he accepted and worked hard selflessly, he traveled weeks by foot around the mountains of India-China border to visit and provide help to poor Tibetan people. 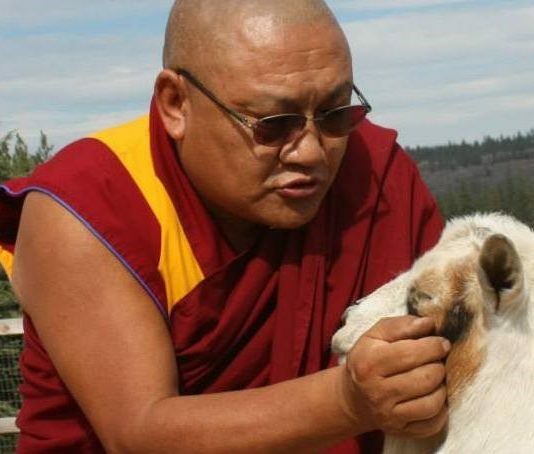 He brought up a historic bill in the Parliament to encourage vegetarianism in Tibetan community for compassionate living and for the long life of H.H. the Dalai Lama. He has been working with “Sulha” Peace Project in the Middle-East from 2004 to 2007 to promote reconciliation among Jews, Muslims and Christians. In 2005, he wanted to resign from Parliament after five years of experience in politics but H.H. the Dalai Lama encouraged him to continue for another term and he was re-elected to the Parliament in 2006 for the second time. Apart from his parliamentary works, he has been tirelessly travelling giving talks and teachings around the world promoting Peace and Universal Compassion, vegetarianism as a way of compassionate living, human values, diversity and interfaith dialogues as the mission of the Universal Compassion Foundation. He has spoken at over a hundred colleges and Schools across North America and India including Harvard University. 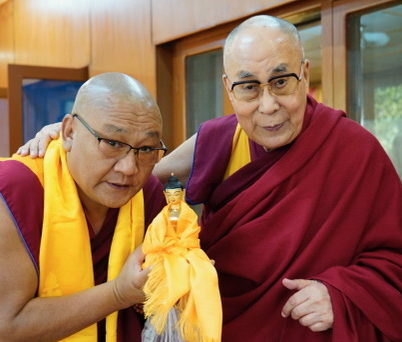 He has taught Buddhist centers of all lineages and many churches including Catholics. He currently teaches at Eastern Washington University as the Global Scholar in Residence in Spokane, Washington.